A hard drive with a damaged read/write head requires a special imaging approach. This is because the sectors in the range of the damaged head will be much more difficult to read than then rest of the HDD sectors. Trying to read sectors with a damaged head adds a lot of time to the process and can cause more damage to the hard drive by crashing the head into the spinning platter. 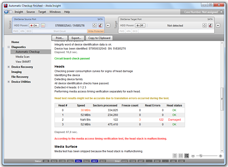 Using the Atola Insight, a technician can identify a damaged read/write head and then adjust the imaging approach to start by reading from good heads and then going back to the damaged heads. First, the technician must be able to identify damage to the headstack and pinpoint which heads are damaged. Because the Atola Insight is the strongest diagnostic product on the market, it offers the following 2 methods for identifying this type of damage. 1) The Automatic Diagnostic function tests the health of the headstack and reports that there is damage to a head or the headstack. This function is very effective and can be executed with 1 click of the mouse. In the upcoming releases of the Atola Insight, Automatic Diagnostic function will report the exact heads that are damaged. 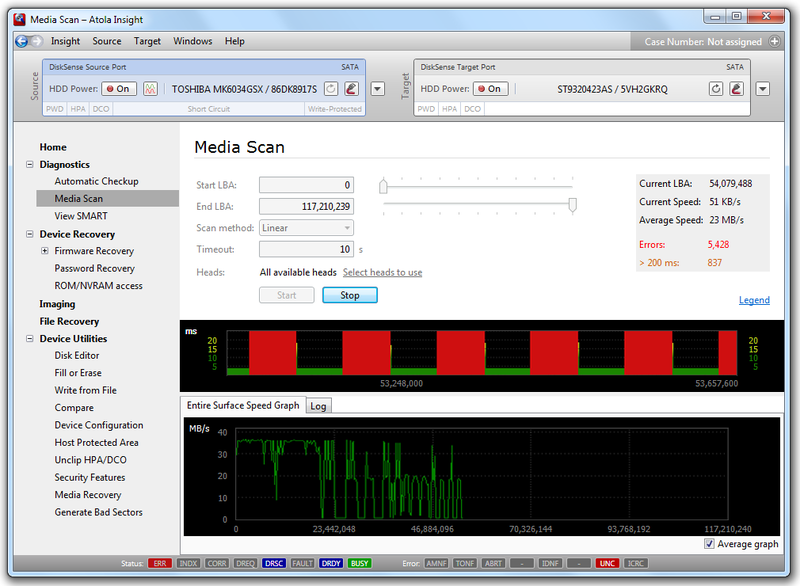 2) The Media Scan function scans the entire HDD media surface and displays the results in a clear, user-friendly format. 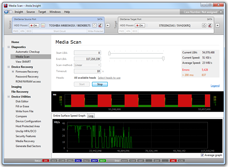 This allows the user to diagnose the hard drive directly by looking for certain patterns. The Media Scan screenshot on this page shows a hard drive with a damaged head. All of the sectors in the range of the damaged head are unreadable (marked with red spikes on the display). When the hard drive shifts to a different head, the sectors are perfectly readable. In the upcoming releases of the Atola Insight, Media Scan function will be extended with the ability to scan specific heads. 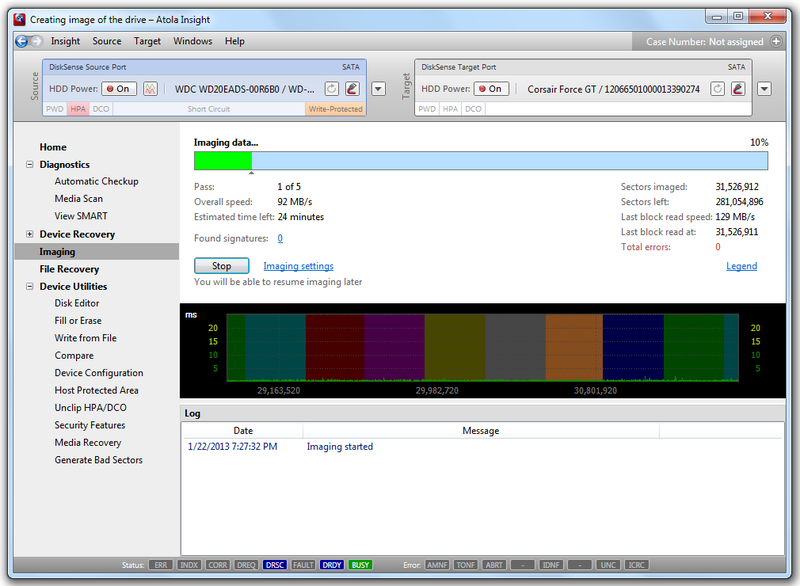 Once a damaged head is identified, it is usually time to image/duplicate the hard drive. The technician would go to the Imaging tab and set the parameters. By clicking "Select heads to use" in the "Heads" section, the technician can specify which head to image from. This feature is very powerful, but the setup is quick and easy. When the imaging process starts, the screen displays colors for each head to clearly show how well each one is reading sectors in its range. Some hard drives are more difficult than others to perform a physical head swap. In some cases, this is because the design of the hard drive. In other cases, it is because donor parts can be difficult to find or it can take multiple tries to find a working part. Whatever the case, physical recovery cases can be time consuming and expensive, and being able to image head-by-head can often save a technician the need to attempt a head swap. This gives businesses using the Atola Insight an advantage over their competitors by being able to quote lower prices and faster return times to their customers! What are the benefits from using by-head imaging approach? When a hard drive has a failing head, in most cases a technician would have to perform a head swap, which is a time consuming, expensive, and risky task. 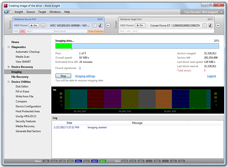 With the ability to image data off selected heads, it is possible to quickly obtain large percentage of data without even opening the hard drive. Sometimes hard drives have seemingly random numbers assigned to each head (example; 0, 1, 4, 5). Does the Insight list the hard drive manufacturer head numbers? 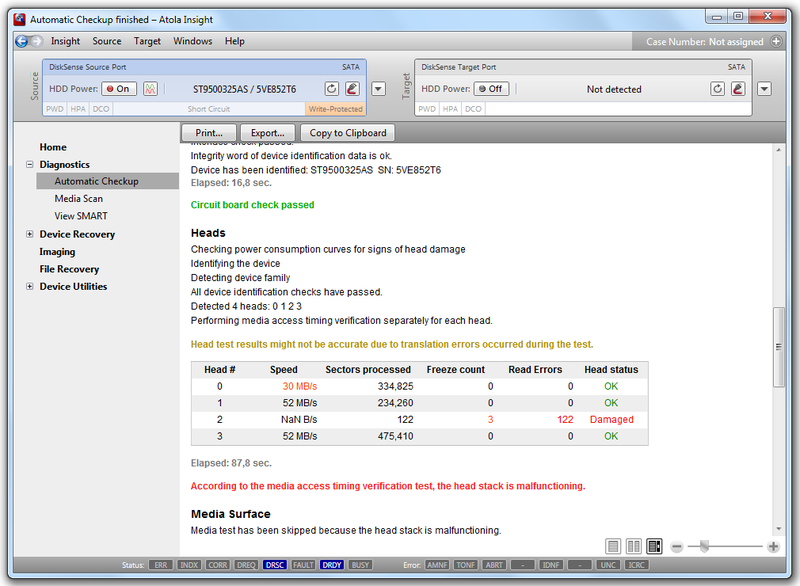 Yes, the Atola Insight will assign head numbers in accordance with the head numbering scheme used by the manufacturer. Is it ever worth trying to read from a damaged head? Yes. A technician’s success reading from a damaged head varies depending on the nature and severity of the damage. Sometimes, it will be able to read sectors if timeouts and retries are increased, and sometimes it will not be able to read any sectors at all.